Doc Ford’s Sanibel Rum Bar & Grille is proud to be a major sponsor at the Rosette Spoonbill $5000 level of the upcoming “Ding” Darling Days at J.N. “Ding” Darling National Wildlife Refuge on Sanibel Island. 2011 marks the fourth consecutive year that Doc Ford’s has been a top-level sponsor. Planned for the week of Oct. 16 – 22, 2011, “Ding” Darling Days is held in conjunction with National Wildlife Refuge Week and celebrates the birthday of the refuge’s namesake, father of the Duck Stamp program and Pulitzer Prize-winning cartoonist, J.N. “Ding” Darling. This year’s events kick-off with Family Fun Day, featuring free narrated Refuge tram tours, live wildlife presentations, hot dogs, nature crafts for the kids, a touch tank, butterfly house and more. Celebrate St. Paddy’s Day with Doc Ford’s Sanibel Rum Bar & Grille! Join us on Thursday, March 17th for this year’s “St. Patrick’s Day in the Tropics” We’ll have lots of great Irish food – including our famous Corned Beef and Cabbage and of course….green beer! 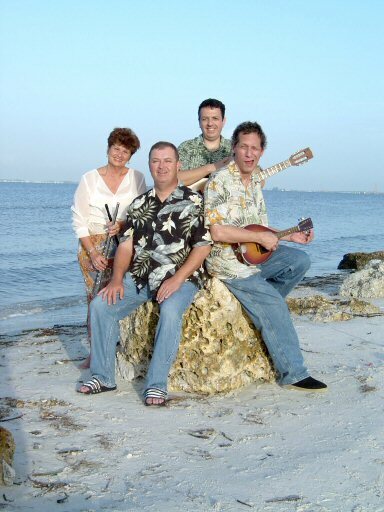 Popular Southwest Florida Irish pub band, Celtic Stew returns to play from 7-10pm on the patio. Big music news from Doc Ford’s Sanibel Rum Bar & Grill – Wendy Webb is scheduled to perform January 20th at 6:30pm! 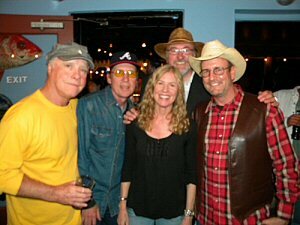 Last year’s event was played to a full-house of enthusiastic music and Doc Ford fans. Those familiar with the Doc Ford novels may recognize Webb’s lyrics from the pages of author Randy Wayne White’s novels. What they probably don’t realize is that they may have already met this talented artist – Wendy is married to White and often accompanies him to book signing events. Though Wendy tours internationally and lives right here in paradise, she rarely appears locally. We are fortunate to have her share her talents – Ms. Webb is scheduled to perform at Doc Ford’s Sanibel Rum Bar and Grill this Thursday, Jan. 2oth! Appearing along with NorVille, this is a not-to-be-missed event. The concert is scheduled to begin at 6:30pm.